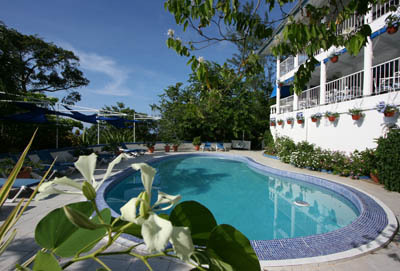 Hotel Mocking Bird Hill is perched on a hillside overlooking the Blue Mountains, just outside of Port Antonio, Jamaica. 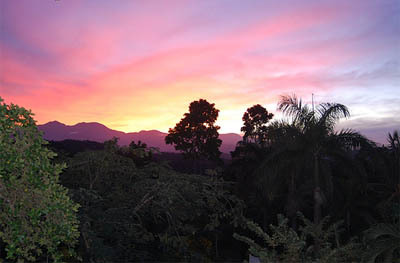 The hotel and resort sits on six and a half sprawling acres of vibrant tropical gardens and lush natural forests. It boasts ten guest rooms, is Eco-friendly and of course, there is free WiFi available. The style of the hotel is intimate and relaxing, yet it still offers the refined luxury that most visitors are looking for. At Hotel Mocking Bird Hill, guests can enjoy an environmentally-friendly setting that is also romantic and serene. 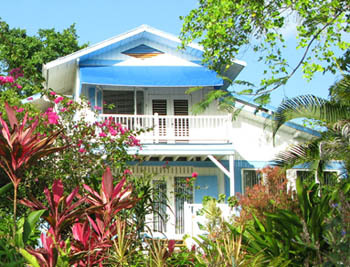 In addition, the boutique-style accommodations at Hotel Mocking Bird Hill are moderately priced and situated only a short driving distance from magnificent waterfalls, deep forests and gorgeous botanical gardens, for which the north-east coast of Jamaica is well-known. 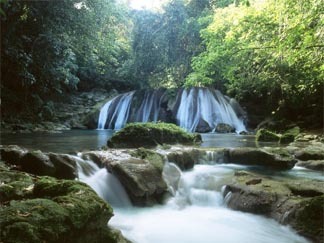 It is also close to both the town of Port Antonio and the beach. This hotel is overflowing with the personal touches that only come with an independently owned hotel. Original artwork decorates the premises and a casual laid back atmosphere makes guests feel right at home. The hotel's contemporary style is gracefully blended with old-fashioned traditional charm. The welcome at Hotel Mocking Bird Hill is always warm and the staff is always friendly and happy to respond to the most trivial of guest inquiries. In addition, the owners of the hotel are always eager to converse with visitors about Jamaica's arts, culture and most popularly visited sites. In fact, these subjects are often addressed at the complimentary Afternoon Tea that is served every afternoon on the terrace. At Hotel Mocking Bird Hill, their motto is, "Not just green but great". The hotel has received full Green Globe certification, as well as the American Express/CHA prize for being the most Environmentally-friendly small hotel for the last two years. Their commitment can be felt in every aspect of the hotel, from the rainwater and solar energy that is harvested, to the low chlorine pool that runs on renewable energy and the organic gardens. Hotel Mocking Bird Hill also features a state of the art anaerobic wastewater treatment facility, an natural air conditioning, and locally-sourced organic items on the menu. For more information, visit Hotel Mocking Bird Hill online.